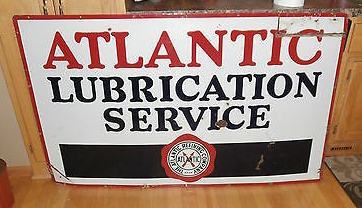 The Atlantic Lubrication Service sign is 36″ by 60″ and is in a rectangular shape. The sign is red, white, and black. The text reads “Atlantic Lubrication Service” and it has the company’s logo at the bottom center of the sign.